Trevor Brunsink, author of The Twelve Coins says, "Don't limit yourself!" Tell us a little about your new book. What was your inspiration? The Twelve Coins is a coming-of-age story about a young prince who was raised by one of two opposing kings on an island. In need of redemption, the young prince embarks on a journey to seek out twelve gold coins that will actually find him when he has shown love to others out of a pure motive. He must gather these twelve coins before he can face his destiny. Per my inspiration, I found a disconnect between what the Bible teaches about how Jesus' disciples will be known by their love (see John 13:35) and what I saw in the lives of other so-called Christians, including my own. I wondered what it would be like to go on an adventure in which one’s very survival is dependent upon one’s will to love others authentically. The Twelve Coins is my answer to this question. The twelve lessons in love come from 1 Corinthians 13. Is there a book 2 on the way? No other story involving these characters is planned. 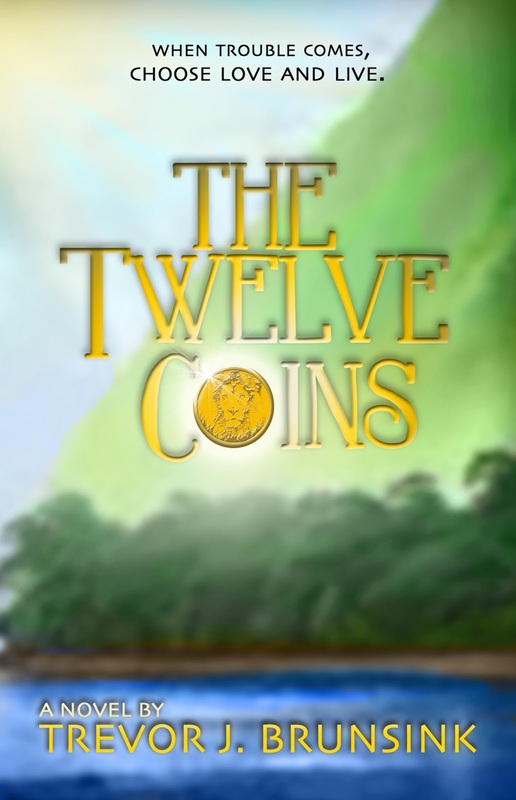 However, if The Twelve Coins sells well, then I will admit that I do have the beginnings of a second book in mind. I think I’m a bit of both. Per writing contests, I’ve done better writing as a pantser. However, I wrote The Twelve Coins more as a plotter, and I’m very happy with the result, as are many others. If I’m not mistaken, J.R.R. Tolkien was writing as a pantser when he wrote “The Hobbit,” which has become one of the most beloved books of all time. So, no matter your style, you may just be doing it right, for you ... just don’t limit yourself, and try writing in both styles. You may just surprise yourself. I’ll try to wake up with the first thing I do being saying a prayer and reading something from the Bible, hoping to seek God’s writing-favor by putting Him first for the day. I then eat breakfast and take time to both breathe and slowly stretch, releasing any distractions that might hinder my writing process. I then get cozy in front of my laptop and start writing. I need a very quiet space to write, although music can be playing in the background so long as it doesn’t have lyrics. I prefer to write in the morning, since evening-writing keeps my mind too busy to sleep. Short breaks, whenever I feel one coming on, are important. I’m satisfied to consider a total of four hours of writing a full day’s work, as a writer needs time and space to continue to live, through which comes inspiration. Tell us something about yourself that most people don't know. I try to always have a bag with me to collect any cans or bottles that need recycling, as in California we can make .05 cents off each of them. My first goal was to collect enough within one calendar year to buy an ounce of pure 24 karat gold, turning it into a sort of family heirloom, which I accomplished. I now put the income towards other goals, some practical and some just playful. Within the last two years, I’ve probably recycled around 50,000 cans and bottles. When you are not writing what are you doing? 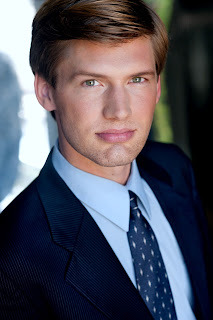 I came out to Hollywood from Ohio in 2006 to pursue acting and writing. I had a small speaking role in the Season 2 Halloween episode of the hit show “Community,” opposite Chevy Chase, and I’ve had three other speaking roles on major Hollywood productions, which sadly, were cut from the final releases. When not auditioning, I’m happy to stand-in for principal actors (including Alexander Skarsgard, Armie Hammer, Paul Bettany, Joel McHale, etc) and body-double for some of them. I’ve also silently acted in the background of many other major Hollywood productions. I've co-written a short-film as well. When not working, I enjoy exercising at the gym, watching movies with my island-raised girlfriend (from Hawai'i), and catching up with old buddies over a blended mint mocha. And, if there's ever a convenient opportunity to travel internationally, I'm there. Please tell my readers how they can get more information about you and your books.